Bangladesh and Bhutan are likely to sign major hydropower sector cooperation deal during Bhutanese prime minister’s ongoing visit to Dhaka. Bhutanese Prime Minister Dr Lotay Tshering will arrive in Dhaka on Friday for a three-day official visit at the invitation of Prime Minister Sheikh Hasina to bolster cooperation in trade, health and agriculture sectors. “We are at negotiation stage to sign a joint venture deal with Bhutan for hydropower project,” state minister Nasrul Hamid told the daily sun on Wednesday. He said the deal may be signed during the Bhutanese prime minister’s visit or later if the negotiation succeeds. Bangladesh Prime Minister Sheikh Hasina and her Bhutanese counterpart Lotay Tshering are scheduled to hold a bilateral meeting on April 13. Bangladesh, India and Bhutan have been negotiating for a long time to sign a joint venture agreement on 1125MW Kuri-1 hydropower project in Bhutan, an official concerned said. The government has a plan to invest $1 billion in the hydroelectricity project in Bhutan. Prime Minister Sheikh Hasina has already given her consent to the move, officials concerned said. Bangladesh is now importing 1140MW of electricity from India while import of another 500MW is in the pipeline through inter-grid connectivity. 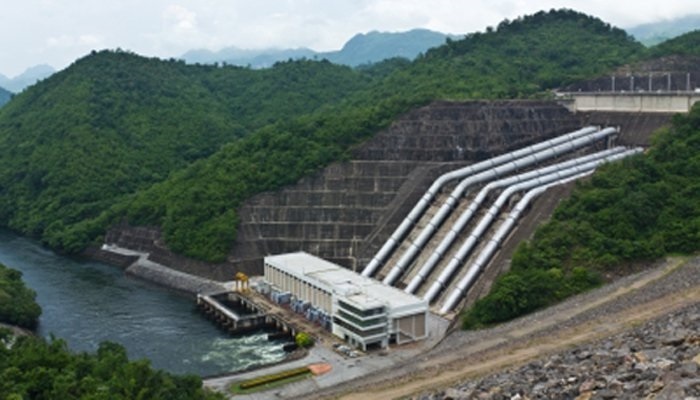 Bangladesh, Bhutan, India and Nepal have already agreed to establish hydroelectricity projects through basin-wide water management as part of the region’s efforts to cooperate and exploit the hydropower sector and use water resources for mutual benefits. Under the agreed minutes, the four SAARC nations are likely to develop two power projects, including the Sunkoshi-2 and Sunkoshi-3 in Nepal, with a combined capacity of 1,646MW and 1125MW Dorjilung hydropower project in Bhutan, subject to feasibility. The four countries held a meeting on January 19-20 in 2016. At the meeting, Bangladesh proposed a series of potential hydroelectricity projects in Nepal and Bhutan. For Bhutan, the 1125MW Dorjilung (Rotpashong) hydropower project was selected to be examined by competent agencies of the perspective sides for joint preparation and development by at least three countries. Earlier, Bhutanese Economic Affairs Minister Lyonpo Norbu Wangchuk during a visit to Dhaka sought investment in a hydroelectricity plant at Rotpashong in eastern Bhutan. The Bhutanese minister had informed Prime Minister Sheikh Hasina that they were planning to set up a 1200MW Kuri-1 hydroelectricity plant at Rotpashong, which needs $1 billion of investment.